Before we take a deeper dive into some of the options waiting out there for the enthusiastic introvert, let’s take a quick trip down memory lane and remember how we’ve gotten to this marvelous technological era where success at work no longer requires a dominant extroverted, social personality. Back in the ‘60s, the “ancient history” of the modern workplace, the revolution began with time-share computers and pagers. From there it was just a matter of time before we had personal computers, smartphones, and now the cloud, all of which have made remote work not only possible but preferable for many industries. These changes will continue to evolve as the modern digital workspace, along with the myriad of communication tools that it’s brought along with it, continues to revolutionize the business game. And one of the most important effects of this transformation has been to create a safe haven of online industry that is modeled towards success for even the most intense stalwart of introverts. In the past, learning new skills has often been challenging for introverts who so often have been subjected to extrovert-oriented systems. But, as has already been made clear, the era of extrovert-indulgence has finally come to an end as the business world has shifted to an online, telecommuter-centric platform for so much of its workforce. However, this removal of the old-school face-to-face requirements doesn’t remove the need to still be strong leaders within our own individual online workspaces. It should come as no surprise that a successful online career isn’t born from apathy or a lack of direction. Any outstanding digitally-based career is often laced with the very same qualities that all successful people share, along with a healthy willingness to adapt and learn new skills whenever necessary. It’s important to keep in mind that your online path will be both unique and, at times, challenging, even if it is suited to your strengths. With that in mind, let’s take a look at some of the digital careers out there these days. A company’s “home base” so to speak is no longer their brick-and-mortar location. It’s their website. In an era where so many businesses have learned the hard lesson of leaning too much on social media or Google Ads for success, many companies are turning inward and cultivating their own home-grown sites and blogs as a central hub for their online activity. The shift has opened up some unique career opportunities in the website game. 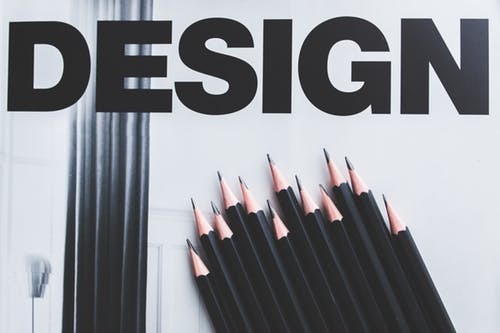 The time has rarely been better for graphic designers, writers, and content creators in general to market their services to businesses in order to help them build and curate their website’s content. In addition to the actual graphics and content itself, though, the skill of website management has also become more and more highly valued. With a trend towards better local content on a company’s site, tasking someone to oversee said content has become a crucial element of success. Not only is this important for appearances, organization, and vision of a particular site, but it also can help ensure that it is optimized for search engines and will perform at peak efficiency. Anyone interested in this kind of career doesn’t need to take the miserably long and arduous path through a university any longer, either. Classes can be found online that can equip you with the latest and the greatest skills, helping to keep your resume shining for all to see. The truth is, data is becoming an indispensable part of the business world. There’s no way around it. It helps companies track and monitor resources and personnel, can help with inter-departmental collaboration, and can be a critical metric to use in sales, marketing, production, the list goes on. A natural side-effect of this growing importance of information is the need to find people to manage all of the data, as well. This is excellent news for a person who’d rather spend most of their time face-to-face time with facts and numbers rather than people. Whether you’re interested in harvesting the data itself or compiling the information and helping make decisions, the number of professionals that spend their time analyzing and interpreting data has become a desperate need within many industries. Some sources estimated that in 2018 there was a shortage of as many as 190,000 properly trained data scientists along with a severe paucity of managers and analysts capable of using the big data they had at their disposal. The shortage is a clear indication of a successful career just waiting to be made. And the work itself? It’s an introvert’s paradise. Whether it’s working a full-time gig flush with benefits, owning your career as a freelancer, or dominating the E-world as an entrepreneur, the time has never been better for an introvert to embrace who they are and simultaneously dominate their industry remotely. If you’re interested in a few more excellent tips as you prepare to launch your new online career, here is some deep insight from 45 career advice experts on the subject.